This special delicacy from Yunnan province has been aged for over 5 years. Doctors in Kunming reported that drinking this tea lowered cholesterol levels in the blood stream remarkably. 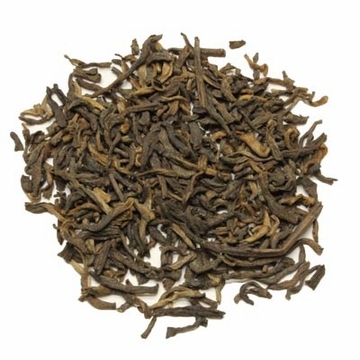 Pu-erh has dark and reddish black leaves. This tea, with its strong persistent aroma, is very popular in the Cantonese community due to its effectiveness in getting rid of toxins in the body and helping digestion. It is well known that the longer you store Puerh tea the better the quality. The Puerh that we sell is an aged Puerh Tea. I think this is a good tea, very dark, rich and robust. But, I in the past have drank the brick Pu-erh tea and think it has a better flavor overall. However, the hassle of having to chisel off the brick tea is difficult and time consuming. I think if you want to try this loose leaf aged Pu-erh tea that is less work and will give you a peek into how rich and robust the Pu-erh tea can be. I really enjoy this particular tea! Pu-erh is not my thing..
As if the tea paints the water... Too muddy when brewed and too strong of that old flavor..
Never tried pu-erh before but definitely not my thing..
Let's be honest. If you've tried a bunch of different Pu erhs you'll notice that they taste somewhat fishy. Well this one is no exception however it is the least fishiest tasting one i've ever tried. It is mellow. It is NOT bitter at all. But then again most Pu erhs aren't. So far this is the best Puerh i've ever tasted. It is woodsy, smokey, and it has a clean finish. Many Pu erhs even after a quick rinse have a bit of a muddy finish - this one does not. It's the right color and it stands up to MANY steepings - about as many as you'll ever want in one sitting. I haven't actually counted the amount of steepings because it goes on and on. I'm pleased with the product and will likely buy it again. Graet product. I love this Tea. I am saving this tea for special occasions. Great with cream and sugar and has lots of health benefits. Great tea. Marketing department needs to get creative and stop sending me so many metal bottles. Here is a suggestion. After so many bottle rewards let me return them for a nice tea pot! I was new to pu-erh last year and have since tried the young ripened, and aged pu-erh. I like both, but prefer the aged pu-erh because its flavor is much earthier and intense. 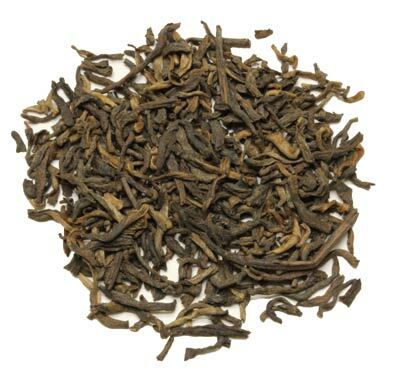 Pu-erh has a taste reminiscent of fresh garden soil. This may not sound so good, but its like the earthy flavor that you get from a beet. Its definitely different, but worth a try for anyone who drinks a lot of tea and wants to try something different. I have always kept some pu-erh in my tea cabinet since I first tried it last year. Great tasting Tea and always fast shipment. Once again, a class-A purchase from Enjoying Tea! The tea arrived in a timely manner, and had a deep, flavorful body. Nice, mild, tasty tea. No need to add sweetners or mess with it. Seems to help with water retention acting as release. This tea has a unique taste and smell, unlike most other teas. It is a tea with an earthy almost nutty aftertaste. Very soothing, satisfying. Leaves can be reused for multiple cups. decided to try the aged version of Pu-erh tea and am stoked I did. A subtle, and smokey taste its my new fave! I received this tea and was pleasantly surprised. The taste is wonderful . It definately has an earthy aroma about it but nothing to dispell the wonderful taste. I will be re-ordering soon. The Pu-erh tea and white tea were advertized in the Woman's World May 2012 issue of magazine on page 18. Dr. Oz reveals: Drink tea, get slim! Lose up to 200 lbs! 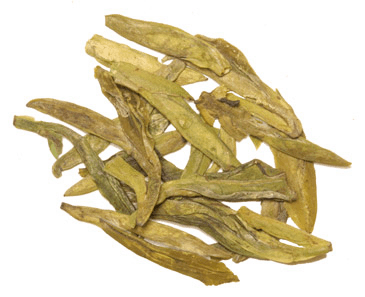 Powerful teas metabolize fat and stop cravings! My husband and I started losing weight after drinking a combination of these teas. Tea schedule is 16 oz. in the morning and 16 oz. lunchtime. Add slices of ginger and lemon. In a week, he lost 5 lbs., I lost 3. Thank you, we are really enjoying these teas! Pu-erh Tea is a must for me. Mixed with the fruit teas available here you get the Teavana blend at half the cost. Ok, I had no idea what to expect when I ordered this tea. 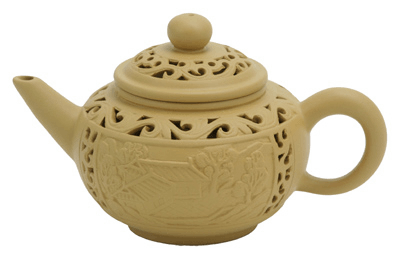 I had never tasted, or even heard of, pu-erh tea before. When I opened the bag I was surprised to smell..... dirt. Yes, the tea smells just like freshly dug up garden soil. I steeped it for three minutes and ended up with a DARK brown brew, which still smelled like soil, lol. Anyway the taste is slightly different from the smell, but the taste is definitely earthy. In case you are having trouble with the term 'earthy' when referring to taste picture how a beet tastes. A beet is sweet, but its overall and lingering taste is earthy. This tea is the same. Personally I love this tea, especially since I can get 3-4 steeps out of each teaspoon. There is also a lot of evidence that points to this tea having a profound effect on lowering cholesterol levels. Even though it has a very earthy taste it has a clean finish, which means it was fermented properly. This tea is not for people who need to dump loads of sugar in their tea in order to enjoy it because, quite frankly, sugar doesn't change the overall flavor. If you haven't tried pu-erh before split the cost with another adventurous tea drinker so that you don't feel so bad if you don't like it. In spite of the reddish tint to the tea in the photo, this tea is mostly black and not as good as I had hoped. I am a pu-erh tea addict, having sampled the very best Puerh from a Chinese friend who brought some from home. There are small sticks and branches in this product and the flavor is less than smooth. That said, good pu-erh tea is relatively difficult to find in the U.S. and this one is an excellent value for the price. I will continue to seek a purer form of aged pu-erh, and if I cannot find it, I will certainly purchase this again.